Twilight News Turkish President Tayyip Erdogan / said his country plans to boost its troops deployed in the border town of Silopi with Iraq and that he will have “a different response,” If the armed factions have caused fear in the Iraqi city of Tal Afar. Says armed Shiite factions in Iraq and backed by Iran that it had begun an attack on an al-Islamic state west of Mosul sites which will target Tal Afar. Erdogan said in a speech to journalists at a ceremony marking the anniversary of the founding of the Republic in Ankara that the information received did not confirm such a move. No details on numbers or on the reinforcements did not say how the response would be different. Ankara has repeatedly warned it would take action if an attack on the city -alta a large number of Turkomans in the framework of broader support from the United States attack to restore the city of Mosul from the hands of the organization of the Islamic state. Twilight News / Baghdad Operations Command, according to the occurrence of the wounded in a suicide bombing near a cafe in the capital. The leadership responded in a statement to the Twilight News, that a terrorist attack by a suicide bomber wearing an explosive belt went off near a cafe-Beiruti Djlh- overlooking the river, wounding a number of citizens were injured after being tackled him one of the security forces personnel. 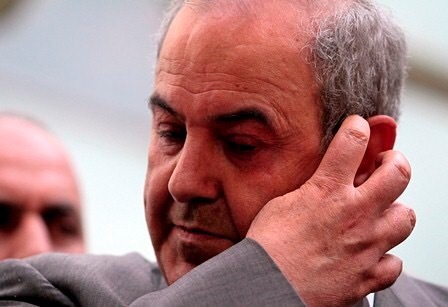 abhorrent Iraqi Observatory press freedoms and strongly act done by the President of the National Coalition, Iyad Allawi, the right of the Iraqi satellite channel reporter, Sajjad al – Musawi, who was assigned to cover the press conference held at its headquarters in Olive Street in Baghdad on Saturday afternoon and had his face calls for journalists to cover the conference. 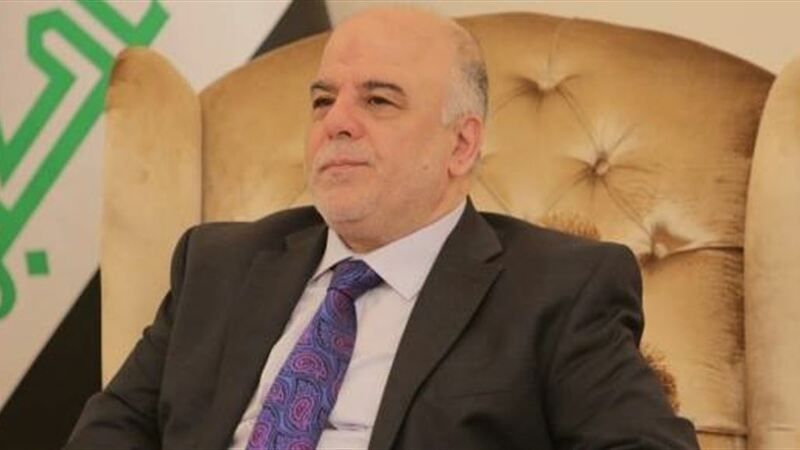 Denied Prime Minister Haider al-Abadi, Saturday, traded on stop editing Mosul operations news, pointing out that the ongoing operations until the liberation of Nineveh province completely from the control of the organization “Daesh”, as he emphasized the inability of what he described as “infiltrators” to disrupt the Iraqi armed forces efforts. He stressed Lt. Gen. device anti-terrorist Abdul Wahab al-Saadi, said on Saturday that the battle to liberate Mosul going on and what is happening now is “clean” of the liberated areas. It also announced the popular crowd, today announced the launch of a “major” military operation to liberate western Mosul areas, while pledged to achieve a “historic victory” in those areas. international coalition forces led by the United States launched four raids only on the sites and theso – called militants Daesh in Iraq, the continuing liberalization No. city of Mosul operations in day 12. And began freeing the city of Mosul operations in 17 of October of this joint forces backed by theinternational coalition aircraft and has made significant progress in several axes . popular mobilization forces troops began operations Saturday liberalization of Nineveh from thesouth – west axis of the connector toward the district of Tal Afar, and edited several areas there. A source in the Anbar Operations Command, on Saturday, that the people of Fallujah city prevented thefamilies of the elements of the organization (Daesh), from returning to their homes, as they wrote anti – phrases for the return of these families to their homes, said refusal to parents any mediated by tribal or religious in this regard. The security forces managed to free the majority of Anbar cities and major regions, the most important center of the province, Ramadi, Fallujah and largest Oqditha leaving only three districts which are still under the control of the organization (Daesh) which is based spend and seen, and his western Anbar. October to 29 head of Iran’s judiciary, Ayatollah Sadeq Amoli Larijani, said that the Islamic Republic of Iran to consider Iraq as a friendly and sister countries and always calls to an independent and unified Iraq. He said Ayatollah Sadeq Amoli Larijani on Saturday before leaving for Iraq to the ominous phenomenon of terrorism and the ugly and the need to handle and intellectual convergence between countries with common interests as a way to effectively combat this phenomenon. He added that his visit to Iraq comes in response to an official invitation from the President of the Supreme Judicial Council in Iraq. He said he will follow four memorandums of understanding important details about human rights and judicial Almaaddh and the transfer of prisoners and recovery of the governed. He said he would meet during the visit by senior Iraqi officials to exchange views on bilateral relations and strengthen cooperation in the judicial and legal field. And hold a meeting with the President and the Prime Minister and President of the House of Representatives in Iraq, apart from the head of Iran’s judiciary programs during this visit, will also visit the holy shrines in the holy cities of Karbala and Najaf, where scientists and religious references will meet in this city. And accompanied by head of the judiciary during the visit a number of Iranian officials in the judicial field and Assistant Foreign Minister for Arab and African Alhwoon Gabri Hussain Ansari.